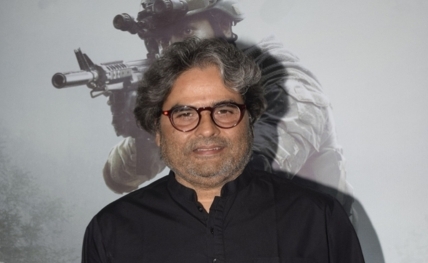 New Delhi, Feb 12 : Filmmaker Vishal Bhardwaj had adapted two of Ruskin Bond’s stories for his movies — "The Blue Umbrella" (2005) and "7 Khoon Maaf" (2011). The celebrated author says he would love to collaborate with Bhardwaj again and is sure that they will make something soon. Asked when he will work with the director again, Bond told IANS in an email interview: "Vishal Bhardwaj adapted two of my stories for films. One was ‘7 Khoon Maaf’ from my short story ‘Susanna’s Seven Husbands’ and ‘The Blue Umbrella’ from my children’s story of the same name. He is my neighbour in Mussoorie and I would love to collaborate with him again." "He was interested to make something on my stories of Mr. Oliver, who is a schoolmaster, from my book called ‘Mr. Oliver’s Diary’. We have also discussed some other stories, of a very different nature. I am sure we will make something soon enough," he added. "There’s a company in Kolkata called Allcap Communications whose members came and met me in Mussoorie and convinced me that my ghosts stories would do well on screen. That’s how ‘Parchhayee…’ happened. The 12-episode series is being produced by Banijay Asia and Opus Communications for ZEE5, which is the OTT platform of Zee Network," he shared. "For ‘7 Khoon Maaf’, I did collaborate on the screenplay, developing the short story into an 80-page novella. I even had a small role in the film, of a priest. I wonder why no one’s offered me a role after that, though!" "What would I like to show? Hmm… I don’t know, it’s not something that I’ve thought about," said Bond, whose first book, "The Room on the Roof", was semi-autobiographical. "Actually I wouldn’t want a film to be made on my life because I suppose I would only want them to show all the good things about me, and hide the awful things, and that wouldn’t be a very honest biopic, no?"